The Opposition has leapt on the recent revelation that the Glenelg wastewater treatment plant is pumping most of its water out to sea. Just a small percentage of the wastewater is being making its way to be reused at parklands and other facilities. Opposition water spokesperson Tim Whetstone says local governments could be convinced to use more recycled water, if it was cheaper. “What we have to put into perspective is the cost of the water, whether it's wastewater, whether it's drinking water, the cost of water in South Australia is far too high and the viability of that wastewater is not economically driven at the moment,” he told reporters. “In a time where we are facing drought and water shortages, it is completely ludicrous to be sending water out to the gulf, which could be reused. There are also concerns that the wastewater flowing out to the gulf could damage seagrass and the local ocean environment. The State Government has issued a statement saying it was reusing as much water from its wastewater treatment plants as possible, and that it does want new recycled water opportunities. 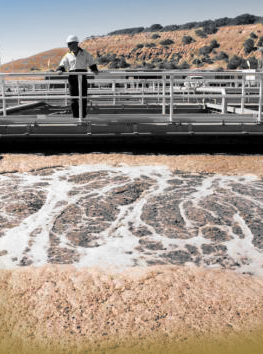 The Government says said the Glenelg Wastewater Treatment Plant was able to deliver 3.8 billion litres of reused water each year. “SA Water is currently negotiating a number of other major water reuse projects with councils and other authorities throughout the state,” the statement read. “Among them is a connection between the Aldinga and Christies plants which will increase recycled water available to primary producers.